Cargo Aircraft Management a subsidiary of Air Transport Services Group, has announced the delivery of a Boeing 767-200 converted freighter to SkyTaxi of Poland under a seven-year lease. 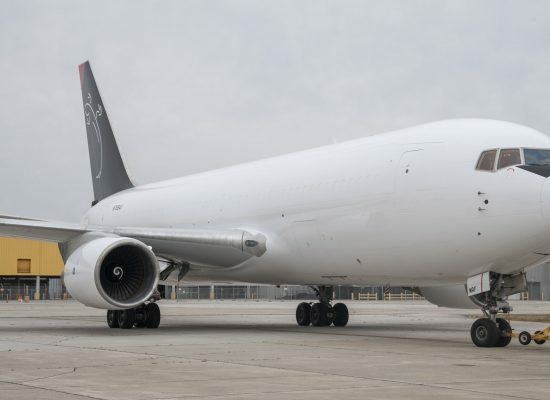 Cargo Aircraft Management also has granted SkyTaxi an option to lease a second Boeing 767-200 freighter for delivery in 2019. SkyTaxi currently operates two Saab 340 aircraft from its home base at Copernicus Airport Wrocław. Rich Corrado, Chief Operating Officer of ATSG, said, “ATSG appreciates the opportunity to assist SkyTaxi as it broadens its service offerings, and we look forward to a lasting relationship.”.